On November 13, 2012, the European Court of Human Rights (ECHR) issued its judgment in the case Cucu v. Romania (22362/06), sanctioning the Romanian state for the violation of Article 3 of the European Convention on Human Rights – prohibition of torture and inhuman and degrading treatment, and of Article 3 of Protocol no. 1 of the Convention – right to free elections. The applicant’s action was supported by APADOR-CH. The applicant complained to the European Court about the detention conditions in penitentiaries Jilava and Giurgiu . The Court found that the overcrowded prisons, the precarious hygiene and general detention conditions there represented inhuman and degrading treatment for the applicant. 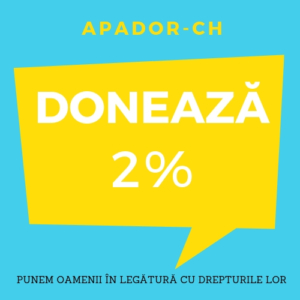 APADOR-CH points out that Romania was repeatedly sanctioned by the ECHR exactly because of the detention conditions in prisons throughout the country. Besides, prior to the Cucu case, the ECHR had issued a decision, on grounds of article 46 of the European Convention on Human Rights, regarding the general measures Romania should take in order to remediate the situation. The European Court found that Article 3 of the Convention was also violated in terms of procedure, because the investigation of Romanian authorities regarding the alleged ill treatment of the applicant in the hands of the intervention squad at the Giurgiu Penitentiary proved to be inefficient. The ECHR judgment noted that the automatic withdrawal of voting rights, as a complementary sanction – although the felony the applicant had been convicted for had nothing to do with the right to vote – was in breach of Article 3 of Protocol 1 of the convention, which protects the freedom of persons to choose their preferred candidates for the legislative body. The full text of the judgment is available on the ECHR site at www.echr.coe.int .